Tootoomoo is too too cool. The interiors are inspired by Asian Shophouses. Why go abroad when you can bask in this cute den. This is the 4th location which recently opened its doors last month. 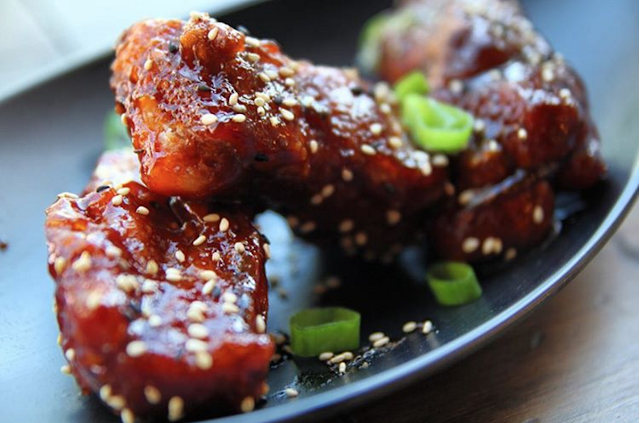 Tootoomoo pairs the street market flavours of Japan, China and south-east Asia with Britain's finest locally sourced ingredients. The food is too too delicious and equally filling courtesy of Chef Ricky Pang's twist on modern Asian tapas food. The entire menu is tapas style, divided into sections and perfect for sharing. The range is extensive without being overwhelming. Together with my friend,we choose the small plates, as we wanted a variety and a taste of everything. 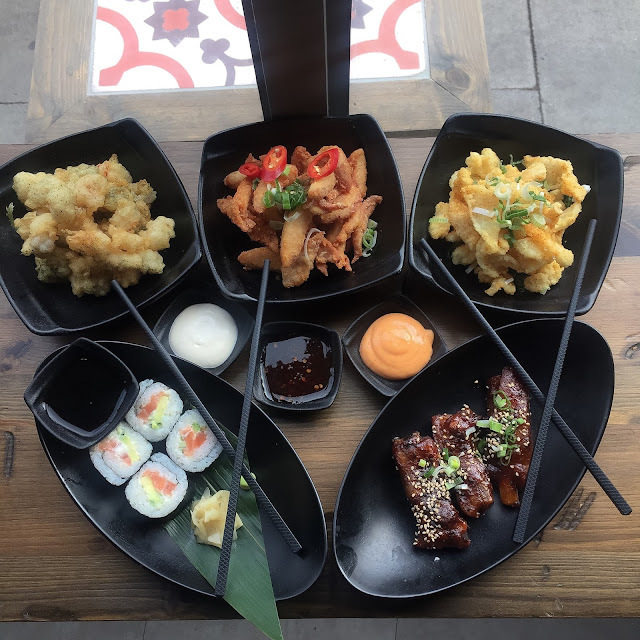 We ordered - Schichimi Squid, Crispy Smoked Chicken, Popcorn Shrimp, Yuzi Salmon Maki and BBQ Pork Ribs, each dish came with an accompanying sauce. The standout dishes for me were the BBQ Pork Ribs, the meat fell off the bone with ease and the sweet and sticky char siu sauce with sesame seeds and spring onion was an excellent compliment. 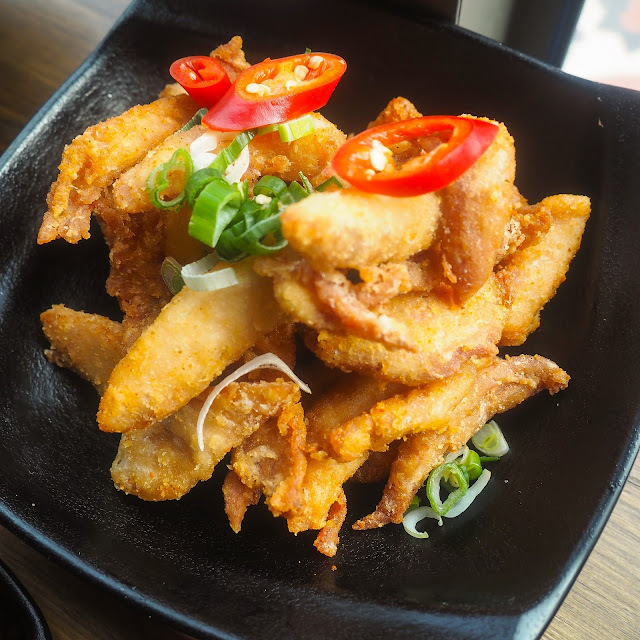 Another fond favourite of mine was the Crispy Smoked Chicken, the chicken layer was crisp to perfection and the sauce really added great flavour to the dish. The atmosphere in Tootoomoo was relaxed and casual. The staff are super friendly and welcoming. The food is affordable, so you definitely won't be breaking the purse strings. Tootoomoo also offers takeaway and delivery so if you are lucky enough to live nearby or on your route home then stop by and grab a bite. Here I will even throw you my UberEats code to get £10 off your first order: Eats-54gnl. Thank me later! *I dined at Tootoomoo as a guest. All views and opinions are my own.